Rabies! How does a man in the Dortmund prison contract rabies when he's been there for four years and had no contact with animals? Who else is infected? Detectives Faber, Böhnisch, and Dalay need to figure it out fast before more people die. Also featuring the return of Markus Graf, presumed murderer of Faber's wife and daughter. This one didn't pull any punches and dropped into a lot of ongoing plot very quickly. I felt a little lost not knowing the team history beyond a couple of previous episodes. Dr. Zander's return didn't mean as much in that context. I made some unusual internet searches on if rabies could be sexually transmitted (no) and the symptoms of turpentine poisoning by injection (unclear). Faber's obsession with Graf both helped and hindered solving the case. I don't want Dortmund to become the psychopath serial killer show. Faber's mood dominated the team, leaving little room for Böhnisch and Dalay to develop. 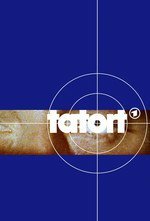 This is the perfect time to revisit Buzzfeed's experience watching Tatort. I was ambivalent about this, and every, Dortmund episode: Faber, man, is like the ur-bummer. But this: I made some unusual internet searches on if rabies could be sexually transmitted (no) and the symptoms of turpentine poisoning by injection (unclear). has made me reconsider. Just posted last Sunday's episode. I'm lagging behind a bit. Faber gets to be manic instead of depressive if that's any encouragement. He does something other than drink and maybe the coat got washed? I like the rest of the team enough to deal with him. If you like the Holmes/Moriarty dynamic, especially as done in Sherlock, this is worth a watch. This was substantially better than most. And yes, those two points are the ones I would have googled as well. Recommend. Good twists, reasonably clear plot and dialog. Totally worth watching.